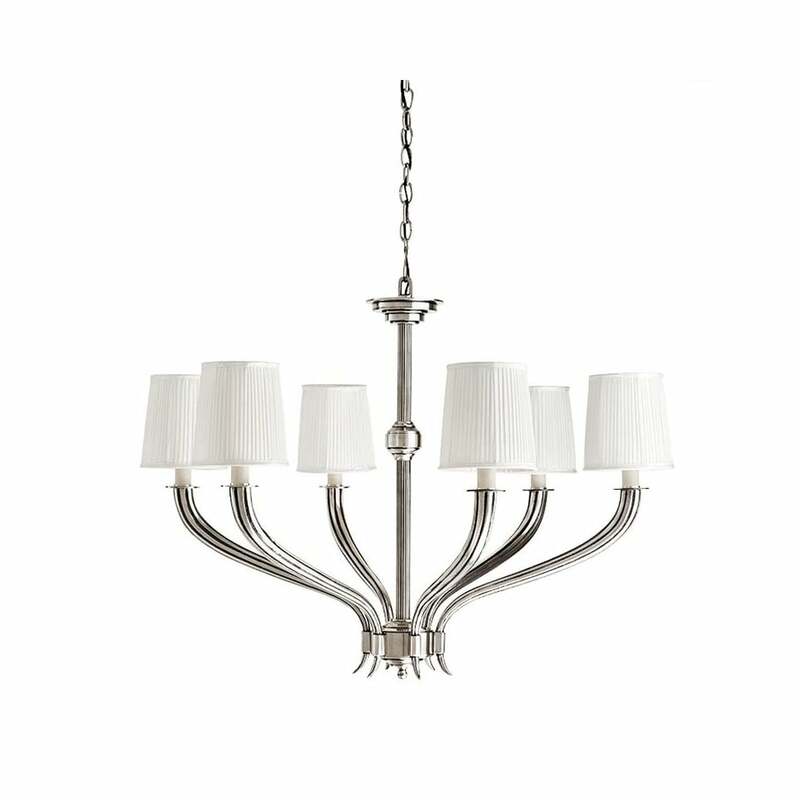 A statement piece with a classic aesthetic, the Mayflower 6 Light Chandelier will add a touch of luxury to any home interior. Six flowing arms form the elegant shape and are finished in a beautiful, antique silver. Hang in a living room or bedroom for a sophisticated look and combine with soft, neutral colours for a timeless interior scheme. Three pleated white shades compliment this design. Suspended by a silver chain, the length can be adjusted to suit your requirements. Make an enquiry for more information.